The more you take away from it, the larger it becomes. What is it? 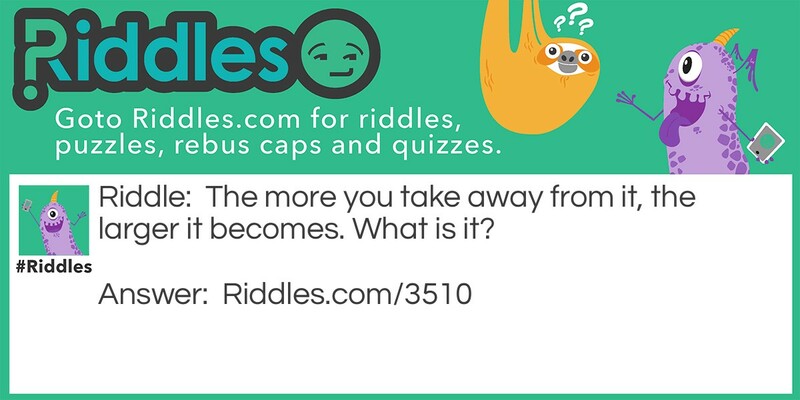 Big Space Riddle Meme with riddle and answer page link.